NEW DELHI - China is at a turning point in its history — one that will have profound implications for the rest of the world, but especially for Asia. Neighboring countries, from Japan to India, are already bearing the brunt of Beijing’s recidivist policies. The just-concluded 19th Chinese Communist Party Congress put its imprimatur on President Xi Jinping’s centralization of power by naming no clear successor to him and signaling the quiet demise of the collective leadership system that has governed China for more than a quarter century. The congress, in essence, was about Xi’s coronation as China’s new emperor. By enshrining the “Xi Jinping Thought on Socialism with Chinese Characteristics in a New Era” in its constitution, the party has made this new “ideology” — just like Marxism-Leninism and Mao Zedong’s thoughts — compulsory learning for Chinese students at all levels. To be sure, the lurch toward absolutism didn’t happen suddenly. Xi spent his first five-year term tightening control on society. While strengthening censorship and using anti-corruption probes to take down political enemies, he steadily concentrated powers in himself. A year ago, he got the party to bestow on him the title of “core” leader. Now, in his second term, Xi will likely centralize power in a way China hasn’t seen since Mao. Xi has already made himself in some ways more powerful than even Mao. Today, everyone is dispensable except Xi, who appears set to remain in power indefinitely. Domestic politics in any country, including a major democracy like the United States, has a bearing on its foreign policy. The link between China’s traditionally cutthroat internal politics and its external policy has been apparent since the Mao era. For example, China launched the 1962 Himalayan war with India after Mao’s “Great Leap Forward” created the worst man-made famine in history, with the resulting damage to his credibility, according to the Chinese scholar Wang Jisi, serving as a strong incentive for him to reassert leadership through a war. The Great Leap Forward policy led to the deaths of up to 45 million Chinese, according to the historian Frank Dikoetter. In the run-up to the latest party congress, two senior military generals disappeared from public view, including the top general holding the position equivalent to the chairman of the U.S. Joint Chiefs of Staff. It is unthinkable that in any other major country in the 21st century, the top-ranking general can just vanish and later is said to be under detention for alleged abuse of office. Xi has ruthlessly cut to size any institution or group that could pose a potential challenge to his authority. By purging and jailing countless number of generals on corruption charges, he has sought to tame the powerful People’s Liberation Army, which traditionally has sworn fealty to the party, not the nation. More recently, Xi has also gone after China’s new tycoons in order to block the rise of Russia-style oligarchs. Control and nationalism are the guiding themes in Xi’s approach, which centers on the state being in charge of all aspects of public life, including culture, religion and the digital realm. But such an approach risks creating a pressure cooker syndrome — cool outside but a pressurized inside that could explode if not deftly managed. 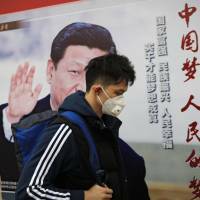 It is true that even before Xi assumed power in 2012, China began gradually discarding Deng Xiaoping’s dictum to “keep a low profile and bide one’s time.” An increasingly nationalistic, assertive China staked out a more muscular role, including resurrecting territorial and maritime disputes and asserting new sovereignty claims. 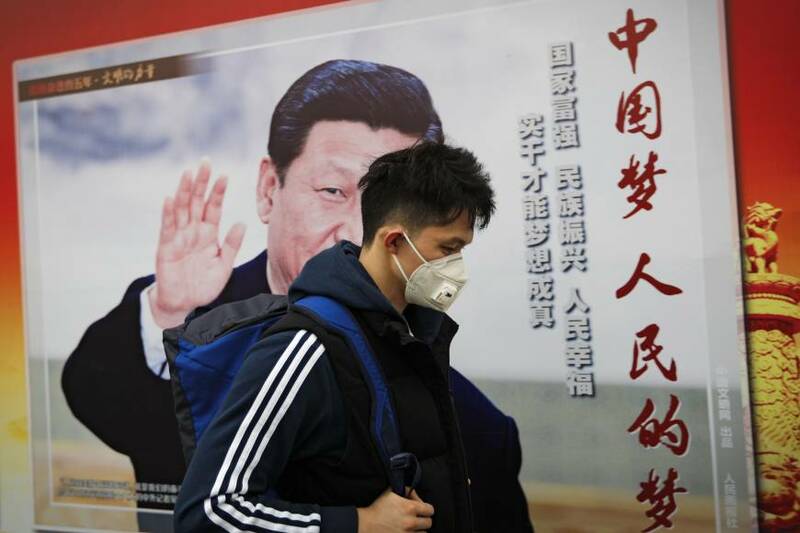 China’s proclivity to bare its claws, however, has become more pronounced under Xi, who sees the West in retreat and wants China to gain the upper hand globally. His government has aggressively used construction activity to change the status quo in Asia in relation to land and sea frontiers and cross-border river flows. In his marathon 3½-hour speech to the party congress, Xi actually bragged of his “successful prosecution of maritime rights,” citing “South China Sea reef and island construction” as one of his major achievements. In fact, Xi aspires to become modern China’s most transformative leader. Just as Mao helped to create a reunified and independent China through a communist “revolution,” and Deng set in motion China’s economic rise through reforms, Xi wants to make China the central player in the international order. Now that Xi’s pet “One Belt, One Road”(OBOR) project has been officially enshrined in the party’s constitution, the world will likely witness a greater Chinese propensity to use geo-economic tools to achieve larger geostrategic objectives. The $1 trillion OBOR, however, symbolizes the risk of China’s strategic overreach: The majority of the nations in OBOR are junk rated or not graded by international rating firms. China’s OBOR drive is actually beginning to encounter a backlash in several partner countries. Even so, the sycophancy with which senior officials abased themselves to extol Xi at the party congress indicates that there is no room for debate in a one-man-led China. Indeed, Xi’s gaining of virtually absolute power demonstrates — if any evidence were needed — that there is no linear path between rising prosperity and political pluralism. Internationally, Xi’s neo-Maoist dictatorship will likely spell trouble for the free world, especially Asian democracies like India, Japan, Taiwan, South Korea and the Philippines. We will likely see a China more assertive in the Indo-Pacific region, more determined to achieve global superpower status, and more prone to employing instruments of coercive diplomacy and breaching established norms and rules. A restrained and stable Chinese foreign policy could become more difficult. Xi’s vision, which he has called the “Chinese dream,” is essentially to make China the world’s pre-eminent power by 2049 — the centennial of the communist “revolution.” The longest any autocratic system has survived in modern history was 74 years in the Soviet Union. Xi’s grip on power may still be intact when China is expected to overtake that record in less than seven years. Still, with the party’s ideological mask no longer credible, the long-term prospects of continued communist rule are far from certain. After all, China’s future is likely to be determined not so much by its hugely successful economy as by its murky domestic politics. Xi’s new strength and power helps obscure China’s internal risks, including the fundamental challenge of how to avoid a political hard landing. As for Xi, he needs to watch his back, having made many enemies at home in his no-holds-barred effort to concentrate power in his own hands. Brahma Chellaney is a geostrategist and the author of nine books.